This site echiwa.jp is a online media, telling various stories of local traditons and culture in Fukui (福井), where is situated in less than 200 kilometers (around 124 miles) northeast from Central Kyoto. If you are type of person who loves exploring something untouristy rather than ones like Michelin-starred restaurants in Paris, Fukui is the place that could offer unique experiences, cuisine made mostly from local fresh ingredients, such as vegetables and seafoods. You might also be able to discover Fukui as a great area of producing world-class crafts, e.g., Japanese Paper, lacquerware, pottery, woodwork and cutlery, that are made on the basis of traditional techniques succeeded from generation to generation for several hundreds years. People here are diligent and live their nature-rich life with mountains, forests, rivers and sea for a long time. We named this site the coined-word “Echiwa”. Why? Fukui is now mainly separated by mountains into the two areas, northern one called Echizen (越前) and the southern Wakasa (若狭). Historically people here had to frequently travel beyond mountains to do business between these two areas. So the word “beyond” somehow still gives us impression of a characteristic feature of Fukui’s landscape. Since the site name could be written in the Chinese characters, “Echi” (越) is Intentionally put to represent the meaning of “beyondness” whereas “Wa (わ)” means “circle”. i.e., beyond the local circle to the world. The logo depicts its concept and has been designed to imply these meanings as well. The site echiwa.jp is to publish the stories to the world about the real daily life in Fukui, most of which have been forgotten and is unfortunately disappearing in many areas of Japan. We hope these stories inspire you to discover more of traditionally amazing aspects of Japanese culture. So come and visit us! We greatly look forward to seeing you in Fukui near future. The Fukui Shimbun Co., Ltd. is a leading local daily newspapers in Fukui, which began publication in 1899. Its circulation/penetration rate is one of the highest among Japanese local newspapers: it delivers the morning edition to 78% of the total households in Fukui. The experimental series of “How to begin community development” has been publishing since March 2014, reporting the progress, insights and real experiences of its full-time journalists who plan and implement various local activities related to community development. Echiwa.jp is launched in November 2016, to publish articles/movies on the local attractiveness in Fukui found through such activities. 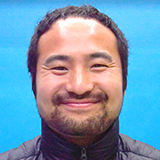 Takeshi Takashima was born in Fukui and has worked as a full-time newspaper journalist at the Fukui Shimbun since 1999, covering sports, education and local politics. He has been in charge of the series “How to begin community development” since 2013, planning some local events, e.g., the “FOOD CARAVAN”, which showcased local cuisine in each area of Fukui. He is the editor in chief of echiwa.jp. Yoshihiro Hosokawa was born in Fukui and has worked as a full-time newspaper journalist at the Fukui Shimbun since 1999, covering urban planning and urban revitilization. He has been in charge of the series “How to begin community development” as the team leader since 2013, planning and implementing some local projects, e.g., renovating the unutilized building into a cafe/coworking space in collaboration with local people. Yuri Iwasaki was born in Kanagawa and has worked as a full-time journalist since 2013 at the Kyodo News, a leading news agency in Japan. She worked in Osaka and Yamaguchi as a police/trial reporter and has been sent on loan to the Fukui Shimbun since May 2016. 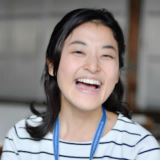 She is in charge of the series “How to begin community development” and enjoys finding unique attractiveness in Fukui. 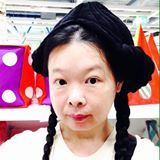 Yukiko Matsuoka was born in Osaka and has been a freelance journalist since 2008 after her 5-year-experience as a business strategist. She covers the topics related to sustainability and resilience of local communities mainly in European countries. Now, she intuitively lives in Fukui to find out the “forgotten” or “disappearing” Japanese lifestyle. Akihiro Sugimoto was born in Fukui. He worked as a trainee photojournalist at the Kyoto Shimbun in 2001 when he was a college student. After graduation, he worked as a sports photographer at the Aflo Co., Ltd., the official photo team of the Japanese Olympic Committee, covering the 2008 Summer Paralympics in Beijin, the 2010 Winter Olympics in Vancouver and the 2012 Summer Paralympics in London. He moved back to Fukui and works as a photographer at the Fukui Shimbun. He loves fishing for fun. Akihito Mizukami was born in Fukui. 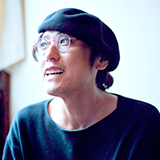 He founded a design company in Nagoya in 2006 and worked as CEO and the art director. He moved back to Fukui in 2015 and began to work as a videographer; planning, directing, shooting and editing movies.